I'm at ISTE in Philadelphia, and one of my jobs here will be to work on the ReD Studio booth. 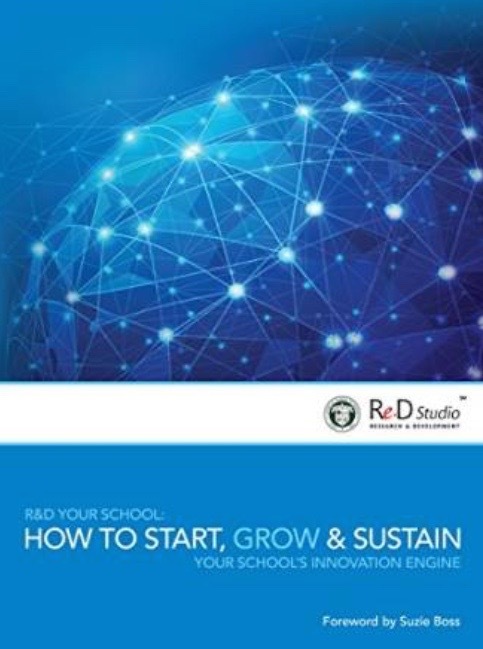 One thing I'm excited to share is that ASB's R&D Department has just published a new book entitled R&D Your School - it's a practical guide for starting, growing and sustaining innovation, and the foreword to this book has been written by Suzie Boss. Suzie writes, "ASB doesn't just talk about the importance of innovation; it advances new ideas by bolting research and development - R&D- right into the institutional framework .... ASB uses core innovation processes - explore, study, prototype, research, scale - to guide the work and set the stage for action. By inviting participation from across the school community, including teachers, parents, and students, ASB ensures that diverse perspectives inform future decisions." I was thinking about this yesterday as I attended the Hack Education Unconference at ISTE. As I listened to other teachers talk about the challenges of innovation in their own schools, I realized just how much we take for granted at ASB. 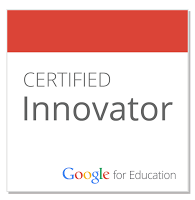 We really have used innovation to create the "new normal" for education at our school. At ASB, what was R&D four years ago, is now incorporated into what we do every day. The R&D team that looked into the design of school buildings and classrooms, has seen the building of a new school and the redesign of an old one. The R&D team that looked into school calendars has now seen a revamped school calendar which allows for 265 days of school that includes an intersessions programme that all students may participate in completely free of charge. As Scot Hoffman and Shabbi Luthra write in R&D Your School, "We are transforming one prototype at a time." Many teachers might find it a bit over the top that we have an R&D Department in our school, however we believe there is a real need for this in schools around the world. Scot and Shabbi write in the Introduction, "Our shared future is coming at us with increasing speed, but the structures that have been our strength are not built for the agility, speed, and focus that schools need to meet the pace of change. Schools and school leaders around the world are looking to innovation to create and develop the schools that students need." R&D Your School has chapters that deal with intrinsic motivation and insourcing expertise, the keys for successful R&D in schools, where our R&D topics come from, the need for a "dual operating system", the essential conditions for successful R&D in schools, prototyping, accelerating R&D, and chapters that outline our experiences of intersessions, Maker, Studios, learning analytics and social entrepreneurship. If you would like a copy of R&D Your School it's available on Kindle and costs just $5.